We’re about to get regional. Micro-regional, if you will. 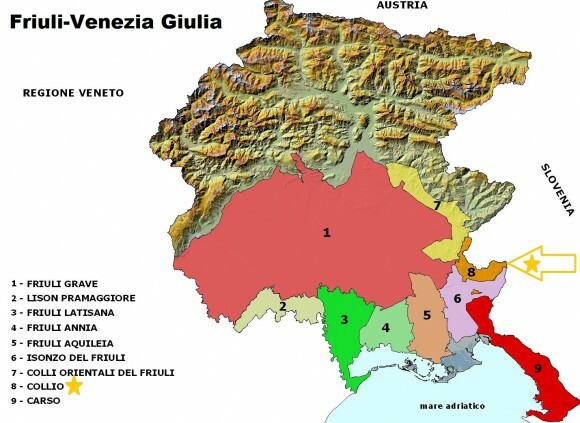 Friuli-Venezia Giulia, one of Italy’s most culturally distinct regions. Way up north, at the feet of the Alps, as far northeast as one can go before crossing over into Slovenia. This is Friuli; a remarkable region that is home to many of Italy’s most prized gastronomic treasures. 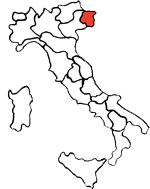 The micro-region at hand is Collio, known for its unique climate—thanks to breezes off the Adriatic Sea—and ribolla gialla, the grape variety fermented in Sirk Grape Vinegar production. Sirk Grape Vinegar is Gustiamo’s newest product. We have been following Josko and Mitja Sirk and their team at La Subida for years and we are just glowing to be the American importers of this monumental vinegar. Here, in Collio, is La Subida. If you have never heard of La Subida, you are about to, and not just from us. La Subida is an important destination within Italy’s good food movement. La Subida is constantly visited by people who are passionate and concerned for Italian food and traditions. In the name of enjoyment, appreciation, and learning for learning’s sake they make the pilgrimage to La Subida (we say pilgrimage because, damn!, is La Subida hard to get to). La Subida is complete with cottages, vineyards, and a Michelin starred restaurant. But at the heart of the La Subida Estate is fermentation. People come to La Subida’s acetaia, vinegar house, to marvel at the Sirk Grape Vinegar. The Sirk vinegar production is symbolic of Italy’s good food movement. It represents the Italian land’s natural ability to produce, the slow and old way of making food, a philosophy, a set of ethics, and a glimpse of sincere Italianita’. In La Subida’s acetaia, all preconceived notions of vinegar are blown away. Have you ever asked yourself, why vinegar is made from wine? Or, to take that question one step further, what if vinegar were made directly from grapes? Sirk Grape Vinegar is the answer to these questions. Team Sirk rejects the idea that vinegar should be made as a byproduct of wine, or made with outcast grapes deemed inadequate for wine. Watch this video of Michele Paiano. Michele is the Sirk family’s right hand. He is a damn fine sommelier and he plays a huge role in communicating La Subida’s food mission. In this video he is standing in the sacred acetaia explaining Sirk Grape Vinegar fermentation; which he does so well. What Sirk is doing is revolutionary. Down right disruptive. They are saying “take a hike” to the industrial vinegar complex. Most of the world consumes vinegar that is converted from wine to vinegar in less than 2 hours. Sirk converts ribolla gialla grapes to vinegar in 5 years. FIVE YEARS, fermented in Slovenian oak barrels. The result is a beautiful unique expression of the finest grapes. Sirk Grape Vinegar is for people passionate about good fermentation and who pay attention to flavors and how they pair with food.